IGT (Integrated Gas Technologies) is a gas control equipment company excelling in manufacturing and marketing of LPG cylinder regulators, cylinder valves, and equipment accessories. Altogether the two founders have 40 years of solid experience in the global LPG regulator business. 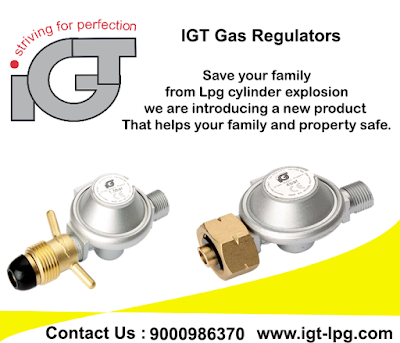 Before IGT entered the market in 2004 most markets had two offerings; either an expensive European made LPG regulator of good quality, with a minimum 5-year life cycle or alternatively a cheap “copy” LPG regulator of very poor and dangerous quality. IGT now serves the global market with the best of the two worlds by offering a significantly flexible product at a very attractive price. At IGT we “Strive for perfection” this motto summarizes how IGT is focused on bringing well designed, perfectly assembled professionally packaged products to the market. Our regulators are always 100% tested, clearly bar coded as well as safe and sound products, we will always strive to deliver freight and duty paid and on time no matter the location in the world.